We are leading the revival of mead making in Southern California. 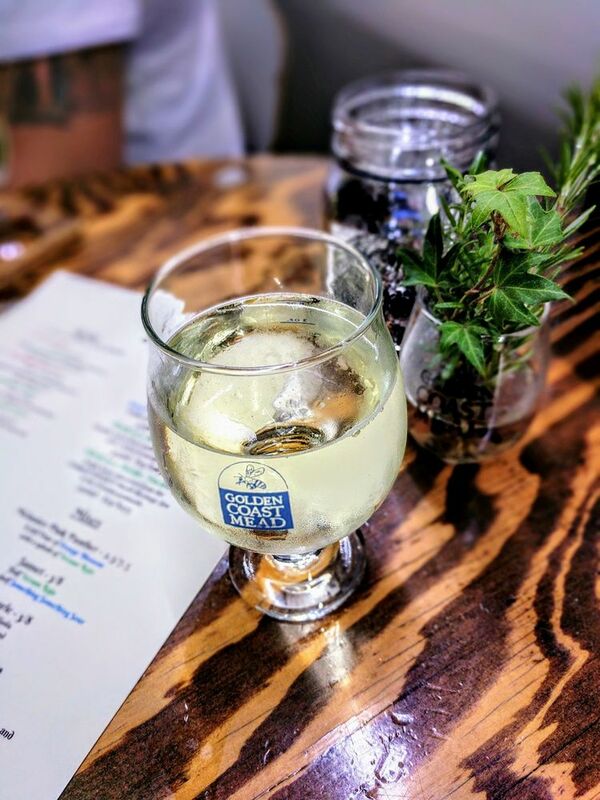 We use local, organic, and high quality honeys, natural spring water, various organic fruits, spices, herbs and hops to ferment this magical alcoholic beverage. We hope to light up your life and help regenerate the earth with mead. All our mead is handcrafted in sunny California with love, dedication and passion. An Abundant world supported by regenerative businesses. Perfecting the craft of making regenerative, innovative, quality mead, and share it joyfully. To make great mead, we begin with high-quality honey. We believe in letting each varietal honey speak for itself. Our work as mead makers is pretty simple: safeguarding the organoleptic compounds that create a honey’s distinct flavor, and carrying them through in the finished product. The water used in the fermentation process is just as important. Our proximity to the Palomar Mountain affords us access to local, pristine spring water. The Ph levels and mineral contents are just right. Using organic fruits, spices, herbs and hops, we’re on a constant quest to complement and enhance the honey’s natural flavors. We love taking our mead making and your mead drinking in wild and unexpected directions.